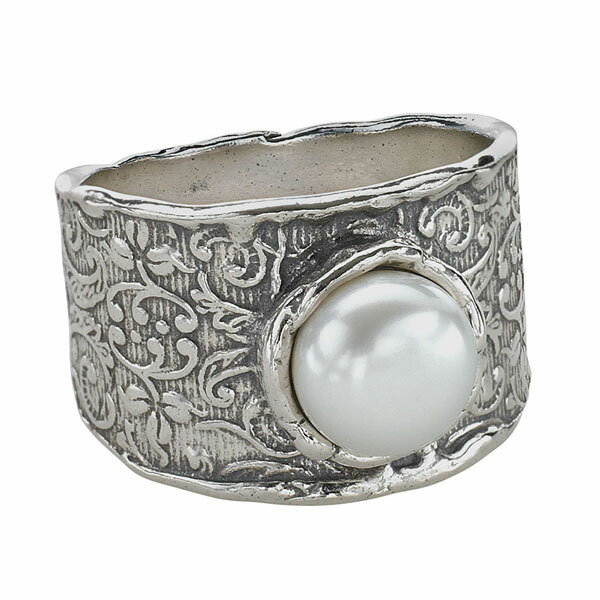 A large freshwater pearl stands up and takes notice on an elegantly detailed band of sterling silver. Band tapers 5/8" in front to 1/4" in back. In whole sizes 6-10.